The 2014 college football season will kick off a week earlier than last season when ESPN premieres the new FCS Kickoff on Saturday, August 23. Two of the top teams in the 2013 FCS coaches’ poll will square off when No. 13 Sam Houston State will travel north to face No. 3 Eastern Washington. Eastern Washington’s only regular season loss in 2013 came at the hands of Sam Houston State when the Bearkats knocked off the Eagles 49-34. "It's exciting to be the first game in the country on ESPN," Sam Houston coach K.C. Keeler said. "To face a perennial national power like Eastern Washington is going to be a challenge. Our football team will be looking forward to the opportunity to test themselves on a national level." The two teams have a recent history of high-scoring matchups, although Sam Houston has won in all three meetings. In addition to the 2013 win, the Bearkats knocked off the Eagles 35-34 in the 2004 national quarterfinals and 45-42 in the 2012 semifinals. 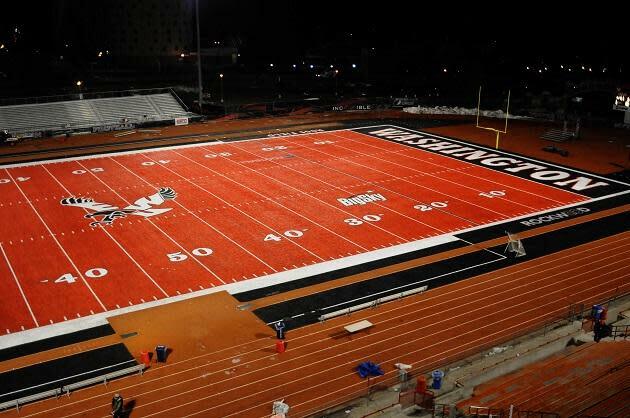 "It's an amazing opportunity to play one of the top programs at our level to kick off the 2014 football season," Eastern Washington coach Beau Baldwin said. "We're very appreciative of ESPN and the commitment they have made to FCS football, both in the past and in the future. We truly believe it will be a great game for football fans not just at our level, but also for others who aren't as familiar with FCS football." “FCS conferences and member institutions are an important part of the overall fabric of collegiate athletics and ESPN’s programming schedule,” Brent Colborne, ESPN director of programming and acquisitions, said in a release.